We coordinate the Rural Vocational Placement process – the only centralised list of rural hospital vacancies in the state. The vocational employment vacancy list is published annually around July. Take a look at some of the vocational training opportunities our trainees are currently pursuing. The thing I love about Rural Generalism is obviously the ability to stay true to general practice as my roots and to specialise in areas… so with all these skills, I’m not only able to fulfil my love for general practice but also to help the community with other speciality skills I’ve obtained over the years through the QRGP. We enjoy the diversity of working in both the hospital emergency department and ward, the GP and in our advanced skills. It makes for an interesting week. The best things by far about being rural GPs are the relationships we have formed, the short commute (we even make it home for lunch most days!) and the wider rural support network that we are developing. It was always my hope to end up in a town where I could provide a mix of services including primary care, hospital based services and obstetrics. Longreach has afforded me the opportunity to work within a dedicated and dynamic team of health professionals and to live in, and serve, a very social and intensely proud community. I am really looking forward to working with the community to build and expand accessible quality mental health and addiction care to best meet need in the years to come. I found my niche within Aboriginal and Torres Strait Islander healthcare quite unexpectedly. I was looking for a job and just knew that I didn't want to work in mainstream general practice. Vacancies are sought from Hospital and Health Services in June and the collated list is provided to Trainees for review and direct application to facilities of interest. Trainees are able to contact facilities of interest at any time. It is not mandatory to participate in the vocational placement process. To find Hospital and Health Service locations visit Location Profiles. Want to know more about locations, facilities and services throughout Queensland? Visit Queensland Health’s regional information page. 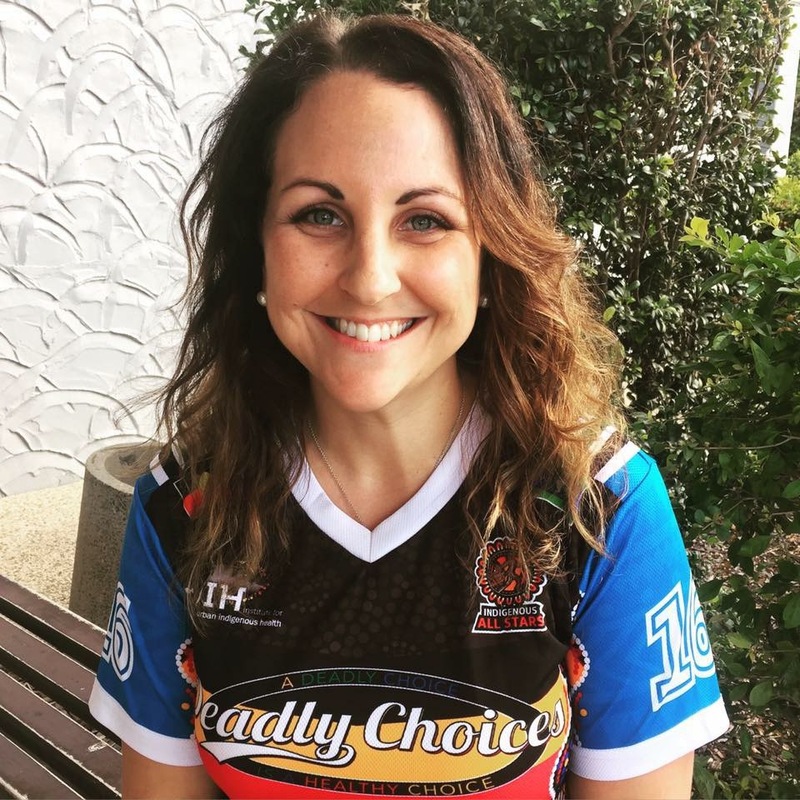 When I had the opportunity to join an Aboriginal Medical Service and continue my registrar training with the Queensland Rural Generalist Pathway and ACRRM, I jumped at the chance because I was excited for a challenge and to do things a little differently. I had the opportunity to be supported to provide the highest quality medical care, in conjunction with a team that is deeply connected to their Community, whilst having the flexibility to tailor how I provide that care to fit with my needs as a training registrar. I was also able to play on the strengths of my previous experience in women’s health and bring additional skillsets and knowledge to the table for all to share in. 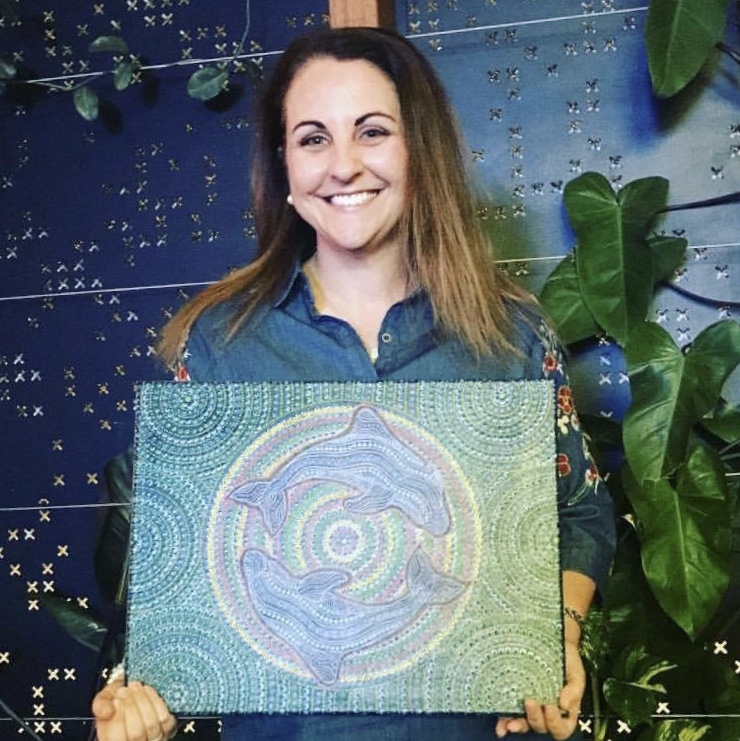 I was able to complete Advanced Skills Training in Indigenous Health with the support of Nhulundu Health Service, the blessing of the Board of Directors and Community Elders and Representatives, and the assistance of the Queensland Aboriginal and Islander Health Council. My community project was able to support improvements to the service delivery of Maternal and Child Health and show positive change and growth related to the improved standard of care we were delivering. I thoroughly enjoy the holistic approach to medicine that the Aboriginal and Torres Strait Islander healthcare sector champions. I enjoy coming to work every day and being a part of a team. I certainly work as part of a well-oiled machine, where no one person is more or less important than the other in the role they play within the patient care journey. Everyone is striving towards a common goal, which is inspirational and motivating on a daily basis. Certainly Indigenous Health is a challenging sector to work within; the highs are immense but the lows are also intense. With the health disparity that our First Nations People still experience in this day and age and the challenges associated with access to care both logistically, physically and socially, we really do need our best and brightest health professionals out there on the ground working together with Aboriginal and Torres Strait Islander people to exact change and move forward in our Closing The Gap goals. I have relished being welcomed and accepted into the community I work for, and gaining the respect of Elders and their families. It gives me great pride to know that they place their trust in my care, and I am very humbled by this. I see a broad range of presentations – anything from acute emergencies to kids and adolescents, aged care, chronic disease, indigenous health, travellers, women’s health, mental health, addiction and everything in between. I have really enjoyed the opportunities in this kind of primary care practice that is focused on the whole person and the social determinants of health, particularly in relation to prevention and health promotion. It is still early days but I am working towards building strong relationships with local community and tertiary mental health and addictions services, government and non-government service providers and community organisations and am so fortunate to have been welcomed with open arms. I am really looking forward to working with the community to build and expand accessible quality mental health and addiction care to best meet need in the years to come. As a country girl from Kingaroy, I couldn’t think of a better job than that of a Rural Generalist. 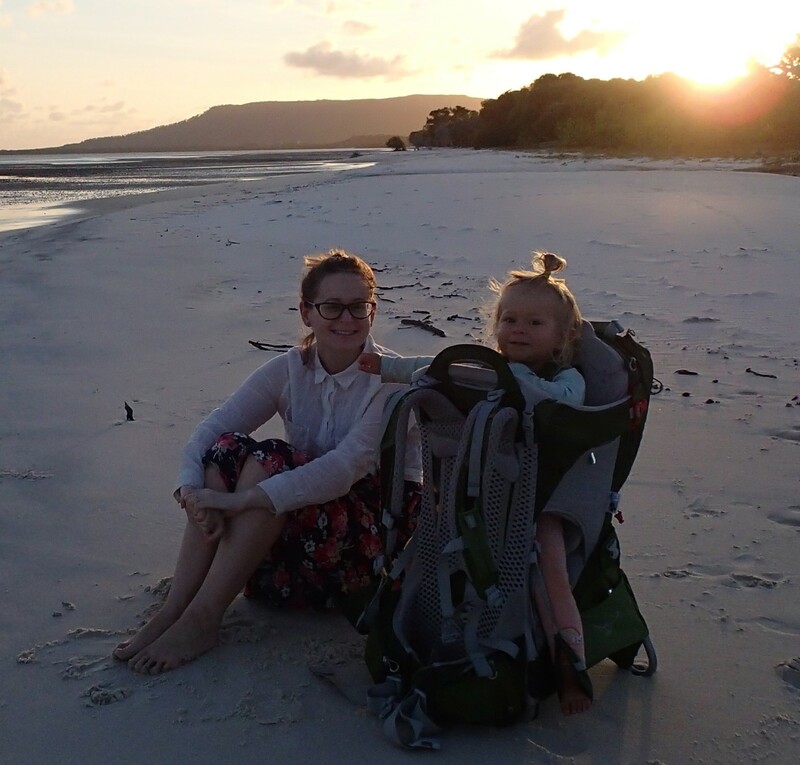 For our family, the move to Cooktown has been even better than we had hoped. The locals have been really welcoming and even more-so when they realise you want to stay! 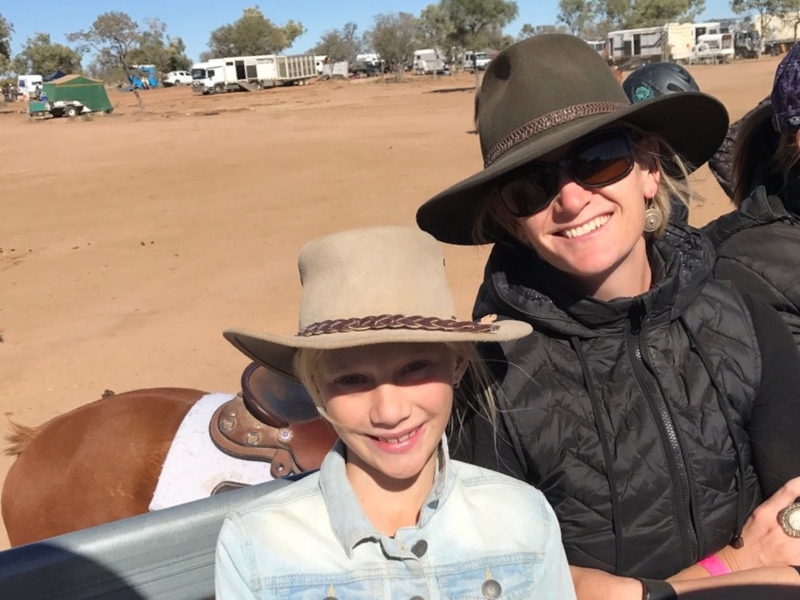 My husband, daughter and I have been busily exploring the beaches and surrounding bushlands at every chance – the idyllic fishing, camping, 4X4ing, swimming, hiking and exploring opportunities are seemingly endless. Without the distractions and traffic of the city we have found our pace has slowed significantly, we have much more quality time with each other immersed in nature and the outdoors. We are making plans to put down roots here and couldn’t think of a better place to be. My husband, Dirk and two children, Noah and Siena, have always had a keen sense of adventure, so with a small twinge of trepidation and a large chunk of excitement we began our “Outbax Adventures”. We were leaving behind familiarity, family and friends and heading to the outback in search of personal and professional fulfillment! We were all set for adventure and the expectation of new friendships, experiences and challenges. What we encountered was that and much more. My role within the health service is varied but predominantly involves delivery of primary health care in a General Practice (GP) setting, low risk obstetrics and gynaecology, as well as hospital based work including shared overnight and weekend on-calls. I am also involved in outreach female GP clinics and cover the small communities of Aramac and Muttaburra. In addition to all this, I am the Medical Lead for our Rehab Team, which is an awesome new service providing community and residential outpatient rehabilitation. As a Rural Generalist Trainee, it was always my hope to end up in a town where I could provide a mix of services including primary care, hospital based services and obstetrics. Longreach has afforded me the opportunity to work within a dedicated and dynamic team of health professionals and to live in, and serve, a very social and intensely proud community. Without exception, we have been welcomed by the Longreach community with warmth and enthusiasm. We were surprised by the camaraderie that exists, not only amongst my colleagues, but also within the community itself. Dirk is a physiotherapist and has recently opened a small physio practice in town, which has been well supported by the broader community. The Rural Generalist Pathway has helped me prepare for work in a rural and remote setting, building on skills and knowledge my city colleagues have little use for. But above all, it has continued to fuel my desire to serve communities like Longreach and to bring primary health care and specialist services to areas of need. We spent our first two years as doctors at Rockhampton Base Hospital as a part of the Queensland Rural Generalist Pathway (QRGP). We are so thankful that we got to spend our formation years in this hospital. For us it was just the right size to gain lots of experience with the core components of medicine, a dash of interesting cases and not too much competition from others wanting the same experiences. Outside of the hospital there was much to do as well. We bought a 4WD and enjoyed being close to the beach, with opportunities for snorkeling, swimming and sailing. We were blessed to get our advanced skills training year together in Hervey Bay. This year extended our medical skills while providing a lovely beach background as we weighed up the variety of inland career options for the following year. We chose Roma because we felt the size of the hospital was right for our level of training and there is great support from both generalists and specialists in town. It allows us to maintain our advanced skills and provides an approachable distance for our extended families to visit. We are having a really great time and everyone has been very welcoming. We have also been blessed with the arrival of our first child, Hannah this year. We have found our workplace supportive of our family and are considering how part time work serves a better work family balance for two doctors. In our experience the work is hard and the hours can be long particularly with the on call but the job is rewarding. We enjoy the diversity of working in both the hospital emergency/ward, the GP and in our advanced skills. It makes for an interesting week. The best things by far about being rural GPs are the relationships we have formed, the short commute (we even make it home for lunch most days!) and the wider rural support network that we are developing. I’m a Christian and a Kalkadoon, Waanyi and Ganggalidda boy from North West Queensland. 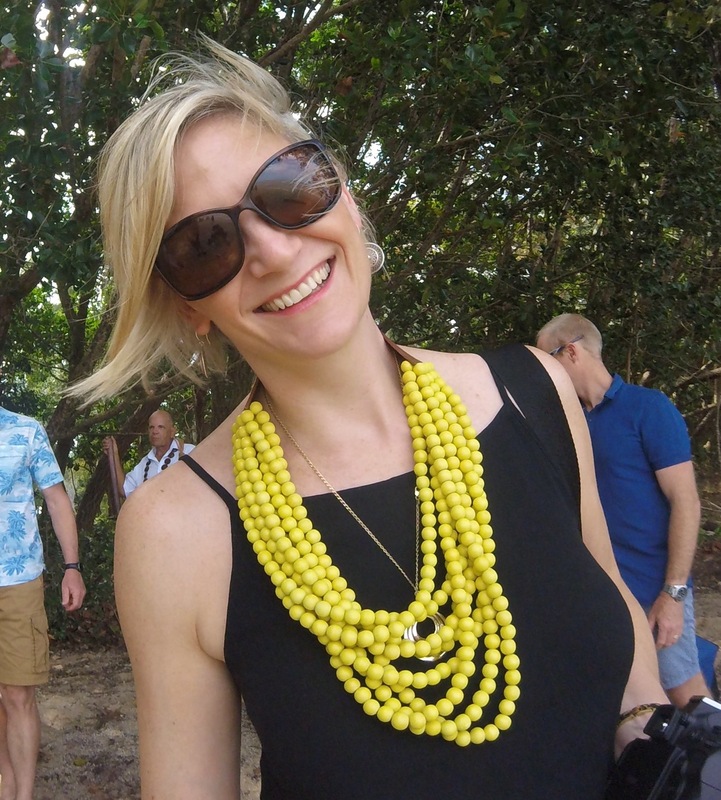 I chose the Queensland Rural Generalist Pathway (QRGP) for a few reasons; one being I always wanted to be a GP from the first day I went into medical school. That’s what I signed up for. However, the Pathway allowed me to specialise in some key areas that are needed in rural and remote communities and especially the Indigenous communities. So the dilemma going through medical school was should I specialise in another specialty like medical physician or surgical training? 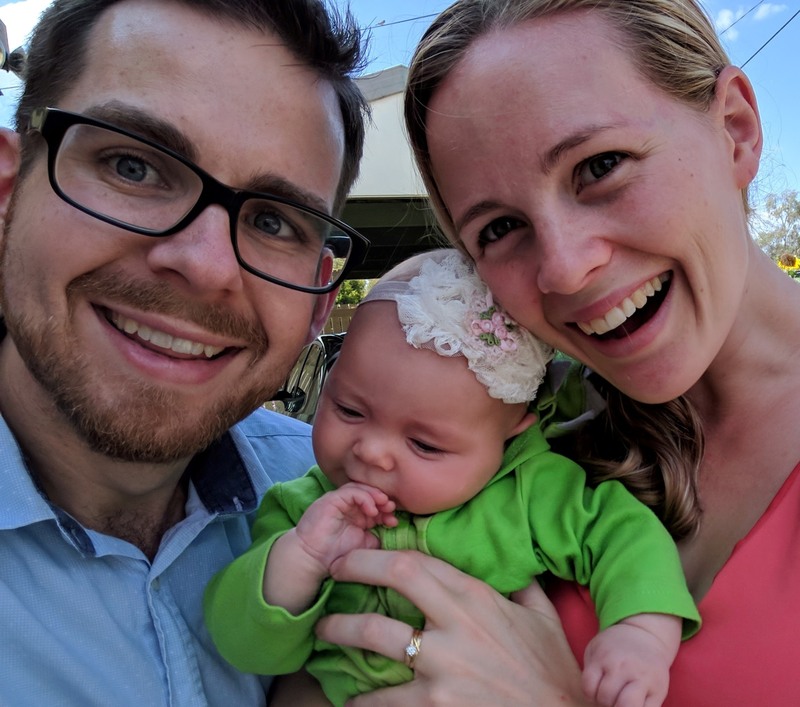 The QRGP allowed me to continue on my track to being a GP specialising in key areas that led me to not only sign up to the Pathway, but also the Australian College of Rural and Remote Medicine (ACRRM). The thing I love about Rural Generalism is obviously the ability to stay true to general practice as my roots and to specialise in areas like anaesthetics, obstetrics and gynaecology, but also I was able to gain other skills like medical administration with the Royal Australasian College of Medical Administrators (RACMA). I’ve also been lucky enough to gain some skills in palliative care, so with all these skills, I’m not only able to fulfil my love for general practice but also to help the community with other speciality skills I’ve obtained over the years through the QRGP. It’s really important for all doctors to build community trust. Obviously being a GP really helped, as being in general practice is all about continuity of care. The advantage of the QRGP is you’re obviously a GP so you’re building the trust with the community and using your advanced skills so it helps to build rapport with community members as they already know you so they are comfortable to come and see you. I’m a bit lucky because I’ve come home. I’m from Mt Isa and grew up in the community so issues like isolation weren’t a problem for me because I’m not only from here but I know a lot of people from this region. However, when you’re coming through the Pathway and you’re not from the particular rural or remote area, I think it would be great to come up with friends and family because life can be tough. I don’t think people really understand how tough it is until you get out here and I think having good relationships, especially with other Rural Generalists, is really important, but also relationships with the community. The challenge for Mt Isa is it’s a very high risk community. 25-30% of the population is Indigenous and that’s just talking about Mt Isa. When you’re looking at outlying rural and remote communities, it’s 99% Indigenous in origin. It’s high risk for a number of reasons. One of the main reasons is access to care, so that’s a massive challenge when you come here and see the diversity of medicine and the seriousness of medical issues in the community. At the end of the day, you want to do what you want to do to make yourself happy, so if that’s anaesthetics or O&G or another procedural skill, that’s wonderful. In Mt Isa, I think there is more need for mental health, paediatrics and internal medicine. They’re probably the top three skills I’ll be recommending coming out to a place like Mt Isa, for the fact that procedural skills are great but Mt Isa has consultants here in different specialities. 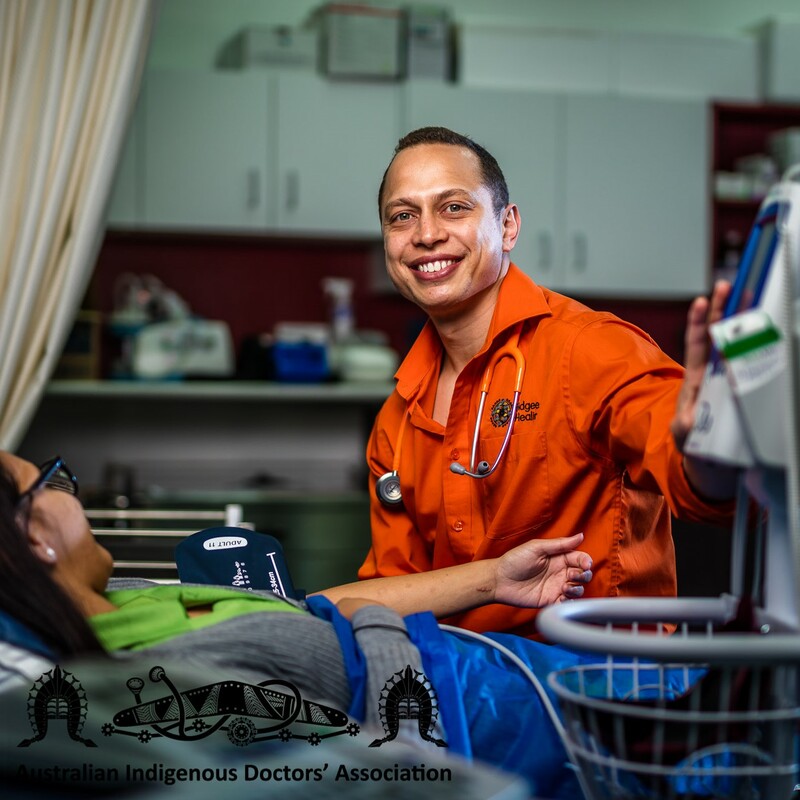 The big key is we need more GP skills that can not only help the hospital, but help the Aboriginal Medical Service and the outlying medical centres around North West Queensland. I think paediatrics, internal medicine and mental health would be the top three for the Mt Isa region. What don’t we do for fun in Mt Isa? There are a lot of carnivals and festivals in and around Mt Isa. If you love camping Mt Isa is no doubt one of the places to be. They’re the main attractions in Mt Isa. But again, if you love quietness and want to get away from the hustle and bustle, there’s nothing better than being in a rural and remote place like Mt Isa. We encourage facilities to develop marketing material for distribution to Rural Generalist Trainees via the QRGP team. An example can be accessed here. For information regarding the qualifications specified for credentialed scope of clinical practice in Rural Generalist Medicine and Senior Medical Officer (Provisional Fellow) appointment, please refer to the Rural Generalist Medicine discipline recognition (2007) document.